Over the past few months, I have really seen this blog evolve. My food photography is progressing (but still has a ways to go!) I feel I am engaging my readers and keeping them interested. Most of all, I believe I am gaining an audience that shares the same passions as me. To keep things fresh and interesting, I want to start making tutorials. Whether you are new to cooking or baking in general, or you are looking for something new, I think these tutorials will be for you. I enjoy reading about people’s techniques. Everyone has a different way about their recipes, so it is always nice to see what others have to offer. I can read about the same technique in many different tutorials because each is unique. Perhaps down the road I will start making videos, too. Even though I prefer reading and looking at pictures, sometimes a video tutorial really helps. Today we will discuss Swiss meringue buttercream. As I have stated before, there are many different types of buttercreams. Actually, I found out about a couple of new buttercreams I did not even know existed (and I am sure I will learn about more.) For the majority, when you first begin cake decorating, you learn how to make American buttercream. It is simple, easy, and very good for decorating because it tends to hold its shape. However, it is very sweet (usually there is a good 1 lb of confectioners sugar in the icing.) The problem is that people think these other buttercream are “hard” and “scary.” Yes, they can be scary; more so intimidating. But once you try them, you will not only see how easy the technique is, you will also taste how delicious they are. What is Swiss meringue buttercream (SMB)? SMB is an icing made with egg whites, sugar, and butter. You cook the egg whites with the sugar over a double boiler until they reach 160F (however, some people vary with this temperature.) This mixture is transferred to a stand mixer where it is whipped for a good 10-15 minutes, or until the bowl has cooled to room temperature. At this point, you have created meringue. Think lemon meringue pie or those meringue cookies that are baked in the oven for long periods of time. Meringue is great and all (actually, I use to pick the meringue off lemon meringue pie and feed it to my dad’s dogs… Shhhh!) however, we still need to go a step further for the buttercream part. That is where the butter comes in. You slowly add pieces of room temperature butter to your meringue as the mixer is on. This transforms the meringue into SMB! How long does SMB take from start to finish? SMB can be a bit time consuming. 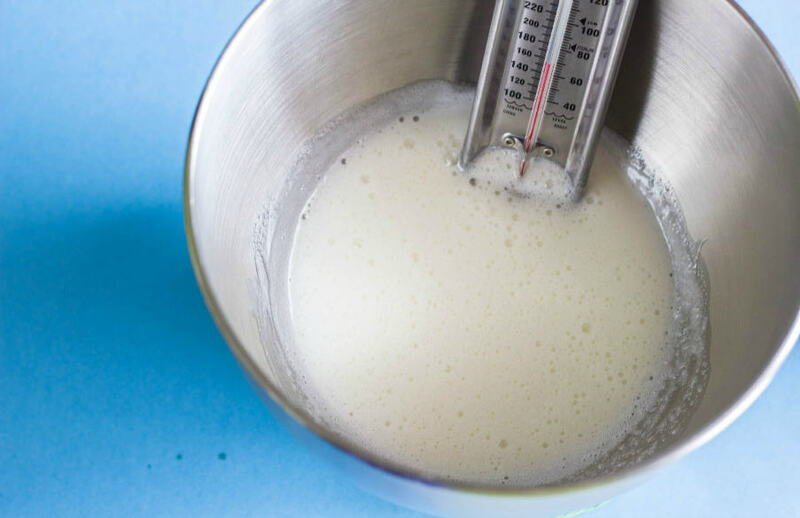 Unlike American buttercream, in which you beat together confectioners sugar, milk/cream, and butter in your stand mixer, SMB has a few more steps. 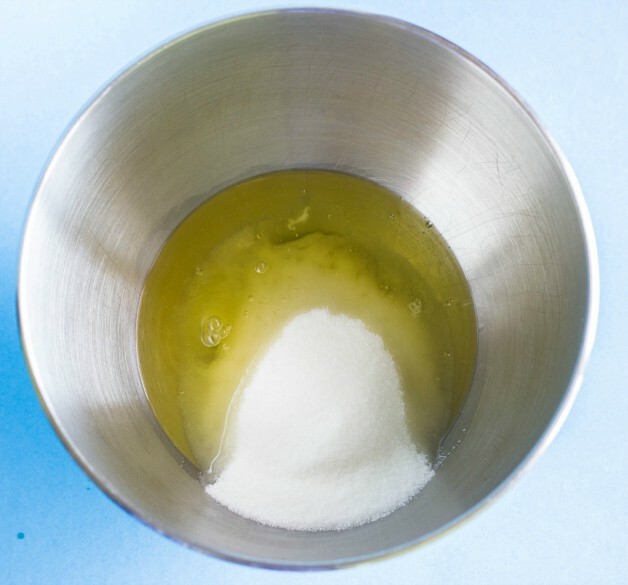 1) Bringing the egg whites and sugar up to 160F over a double boiler can take a good 15 minutes or so, and you are constantly whisking by hand to keep the heat distributed. You are basically stuck at the stove this entire time. 2) Beating the mixture in your stand mixer until stiff peaks form (and your bowl cools) is another 10-15 minutes. At least at this point you are free to roam the kitchen and clean up. Total time: Roughly 45 minutes, and most of that time is productive time of you working on the icing, not just watching it being worked in the stand mixer. I am not trying to scare you!! Trust me, this work is soooooo worth it in the end! How long does SMB last? I have heard about people leaving their SMB cakes out overnight with no problems (as long as there is no perishable filling in your cake.) However, SMB can be kept in your refrigerator in an airtight container for about 1 week. You can also freeze it for up to 2 months. I find when I place my SMB cake in the fridge, the icing firms up like butter (since the recipe is basically pure butter.) If you can, try to decorate your cake that day of so you get that beautiful, silky taste. Otherwise, just allow the cake to come to room temperature. How do you colour SMB? The first time I coloured SMB it freaked me out! I use Wilton food colouring and found that when I initially added the colour of choice, it almost had a water and vinegar look to it. The colour was speckled about, almost appearing separated from the icing. I mixed it by hand and it took some muscle, but you will eventually work in the colouring. I suggest adding the food colouring to the icing while it is still attached to the stand mixer. It will make the job a lot easier. Also, SMB doesn’t absorb colours as nicely. What I mean is that you will have to add a lot of colouring to get your colour right. I find the colours are often very pastel, which is nice, but if you want something darker, you will have to work for it. Another way to colour your icing is to add fresh fruit puree. 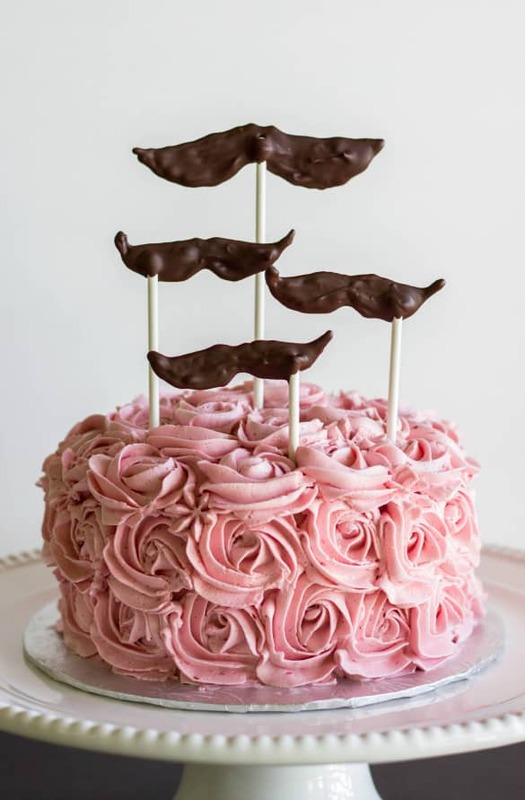 I added raspberry puree to my SMB in this cake design and was greeted with such a wonderful colour! There is no additional colouring added to that icing. It is also a more natural way of colouring your icing if you do not feel comfortable with food colouring. How do you flavour SMB? As I said above, fresh fruit puree is awesome in SMB. I add about 1/3 cup of fresh puree to my batch, but it all depends on the flavour you want to achieve. SMB is very forgiving, but you don’t want to add so much puree that you deflate the icing. This being said, many people will tell you “SMB tastes like butter.” And it is true. I did not realize how much so until I decorated my cake. 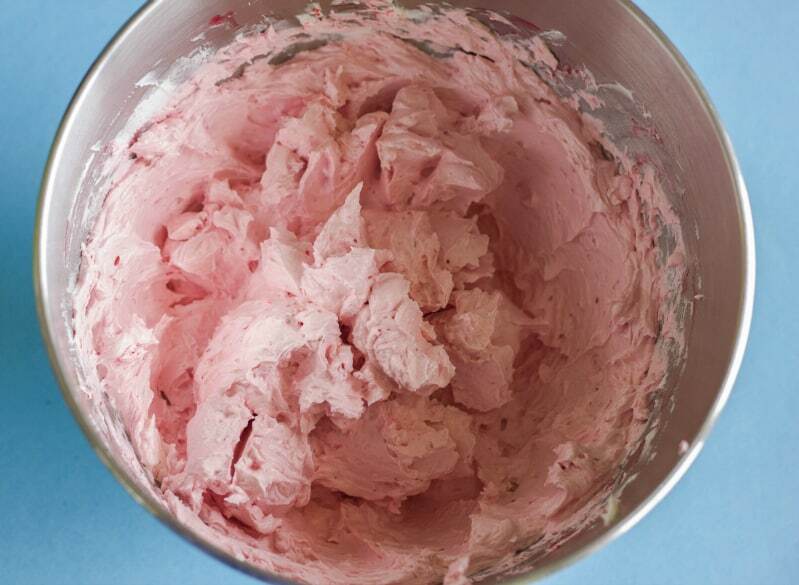 When you make American buttercream, you are told only to but a tsp or so of vanilla into the mixture because you do not want to take away from that butter taste. However, SMB is completely different. It does not have the copious amounts of confectioners sugar to mask the butter flavour. I have seen people add as much as 1/3 cup of vanilla into their SMB. I only added a couple of tsp. and didn’t realize until it was too late that I definitely need more than that (probably a good 2 tbsp. at least.) That being said, it is all trial and error. Some other flavour ideas are: coffee, caramel, liquors, peanut butter, coconut, chocolate, mint, custards, etc. SMB is pretty stable. You can use it under fondant and such, but since it is so light and fluffy, hot temperatures will cause it to deflate. Like any buttercream recipe, you can substitute in shortening to help with stabilization, that will affect taste and texture. I wouldn’t go piping tons of roses and such, but it held very well on my ribbon cake. Once again, trial and error. I know people’s biggest concerns are about food safety. In this case, the egg whites are being brought up to a temperature of 160F. Grocery store eggs are pasteurized (at least here in Canada) and even if you are to use fresh eggs (which I do) you are essentially bringing them to a safe temperature. Most recipes call for your eggs to be at room temperature, and since we tend to keep eggs in our refrigerators, we need to remove them prior to creating our meals. However, there are many countries around the world that do not refrigerate their eggs, so it is all based on personal preference. If you don’t feel comfortable making desserts with raw eggs, then don’t. My SMB curdled, went soupy, didn’t work, etc. Please check out the troubleshooting at the end of this post to help see where things went wrong. – A small saucepan/pot filled with about an inch of water. Also, make sure your bowl fits nicely onto the pot and doesn’t touch the water. – Kitchen Aid stand mixer bowl. *NOTE: You want all your tools to be grease free. Some people designate specific tools to meringue only recipes, however, I just wipe down anything with white vinegar. Grease and meringue do not mix. 1) Pour about an inch of water into a small saucepan. Place over low heat and pick a bowl that will fit snugly on top of the opening. You don’t want the bowl touching the water at all: you are creating a double boiler. In this case, I used my kitchen aid bowl. 2) When the water has reached a simmer (never let it form into a rolling boil!) place the egg whites and sugar into your bowl. Attach a candy thermometer to the side of the bowl, and whisk the mixture constantly until it reaches 160F. 3) Move your bowl to the stand mixer. 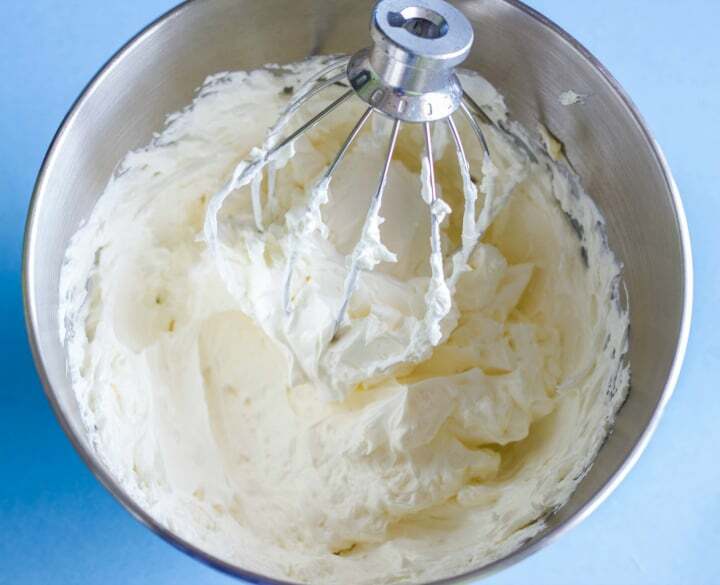 Using the whisk attachment, whisk your mixture on high until stiff peaks form. It should take 10 minutes or more, and you want your bowl to be relatively cool before you add the butter. If the mixture is too warm, your butter will melt. 4) Cut your butter into bite-size pieces, about 1 tablespoon each. With your mixer on low, add one piece of butter at a time, counting for about 10 seconds before you put the next piece of butter in. Pay attention and make sure the butter is combined before you add the next piece. Patience is key! 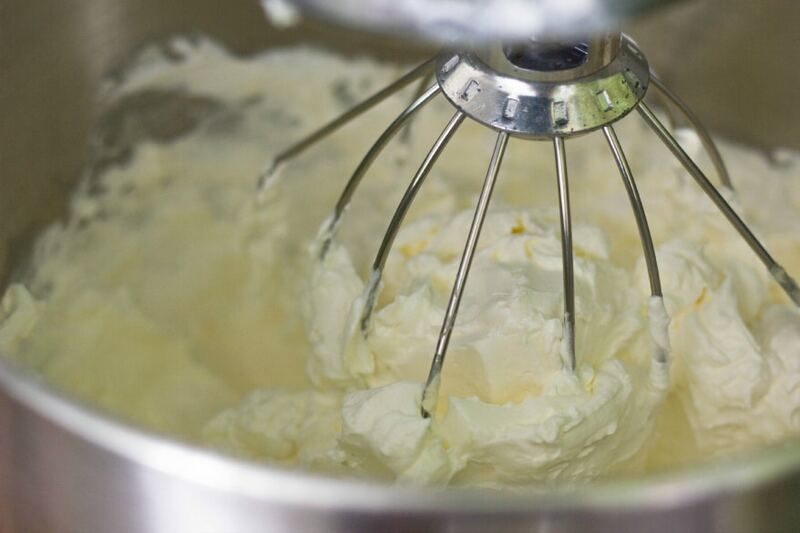 Keep mixing until all the butter is combined in and you are left with a smooth buttercream. Mix in your vanilla until combined. And there you have it! You completed a batch of Swiss meringue buttercream! Now remember, patience is key. Do not rush things, do not think “oh, I am sure adding the butter all at once won’t hurt things.” No. I hope this tutorial helped you. If there is anything you think I have missed, please feel free to mention it. Below you will find a guide to troubleshoot any problems you may come across in your SMB adventure! Also check out Sweetapolita and Bakers Royale for more information, as they were the people who led me down this path initially! You added the butter too quickly (not allowing for each piece to blend into the mixture.) It could have also been that your butter was too warm. I have heard people fix this issue by placing the entire bowl into their refrigerator for 15-20 minutes and then re-whipping. Why does it look curdled? It happens! Do not panic! It is a natural stage of making Swiss meringue buttercream. I somehow skip this step for some reason (or get a real mild case) but keep mixing and it should fix itself. How come all I can taste is butter? If you look at the ingredients, there is a LOT of butter in this icing. The icing gets its smooth and silky texture from butter. I made the mistake the first time too. You need to carefully flavour your icing to “mask” the butter flavour. I say “mask” because you don’t want to completely take away that silkiness, but you also don’t want to feel like you are eating a stick of butter. My SMB is melting while I decorate. Temperature, temperature, temperature. While SMB is pretty stable, it definitely does not stand up well against hot weather. If your cake is going to be sitting in direct sun, things are not going to go well. 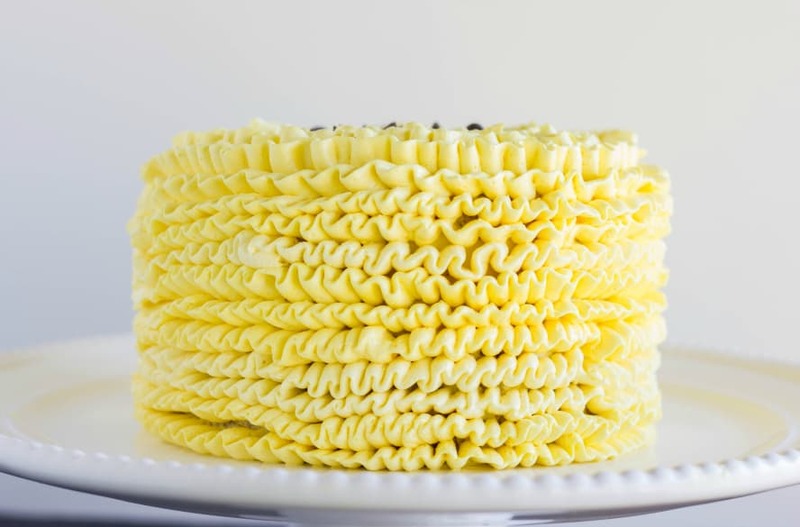 Just as with American buttercream, people substitute in shortening to replace the butter for higher stability (but that also affects your taste.) You need to be your best judge. Try to keep your hands and piping bag cool. The more you work the buttercream, the more chances you have of melting/separating the icing. 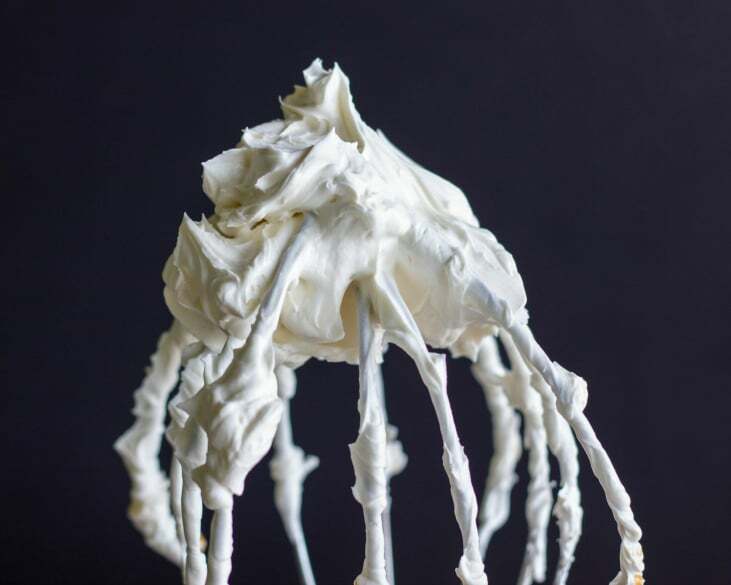 Step-by-step directions on how to make Swiss Meringue Buttercream. Pour about an inch of water into a small saucepan. Place over low heat and pick a bowl that will fit snugly on top of the opening. You don't want the bowl touching the water at all: you are creating a double boiler. In this case, I used my kitchen aid bowl. When the water has reached a simmer (never let it form into a rolling boil!) place the egg whites and sugar into your bowl. Attach a candy thermometer to the side of the bowl, and whisk the mixture constantly until it reaches 160F. Move your bowl to the stand mixer. 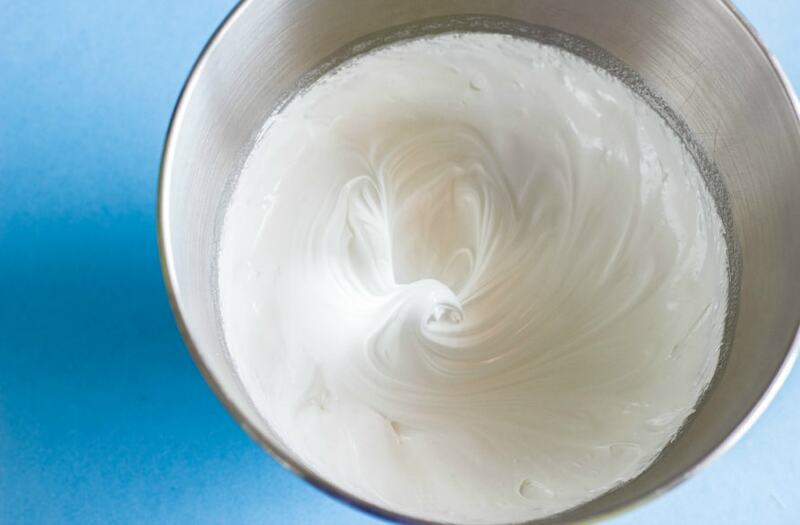 Using the whisk attachment, whisk your mixture on high until stiff peaks form. It should take 10 minutes or more, and you want your bowl to be relatively cool before you add the butter. If the mixture is too warm, your butter will melt. Cut your butter into bite-size pieces, about 1 tablespoon each. With your mixer on low, add one piece of butter at a time, counting for about 10 seconds before you put the next piece of butter in. Pay attention and make sure the butter is combined before you add the next piece. Patience is key! 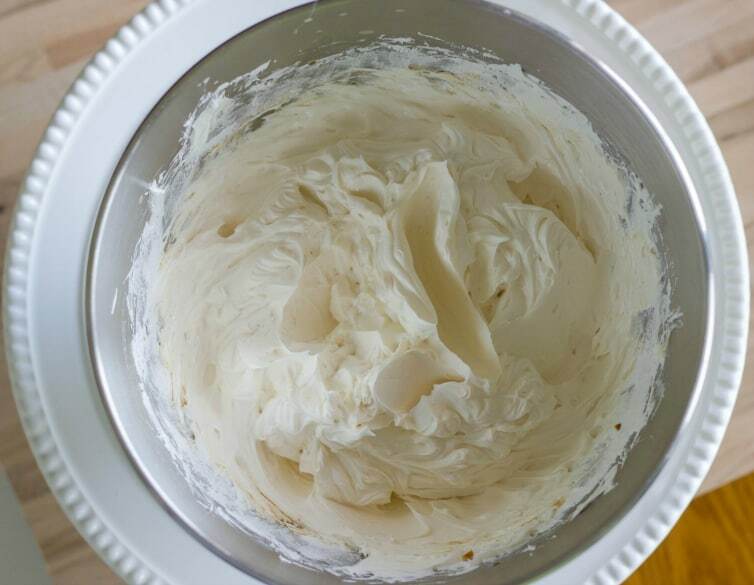 Keep mixing until all the butter is combined in and you are left with a smooth buttercream. Mix in your vanilla until combined. Thanks for all those step to step photos! They're really going to help. Thanks! 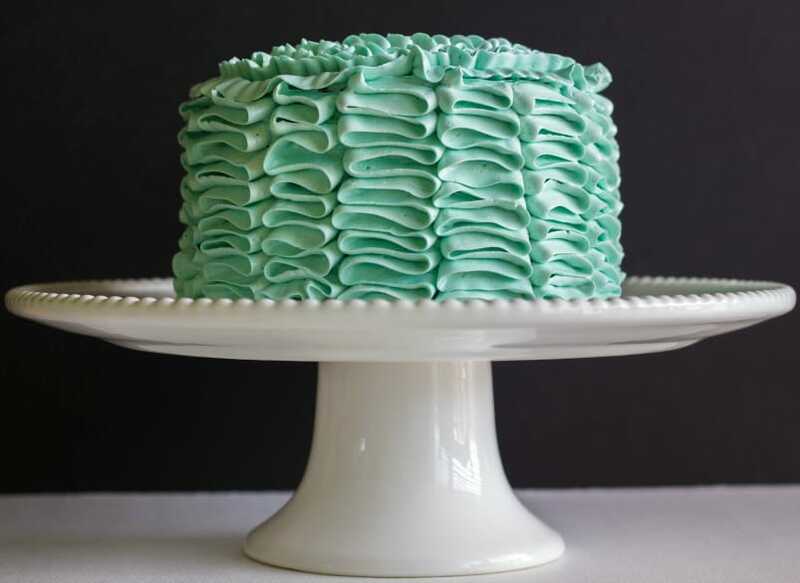 Thank you for writing THE DEFINITIVE guide on swiss meringue buttercream! I have tried for years to make swiss and italian buttercreams from various recipes, and the results are usually a soupy or curdled mess. Thank you for demystifying the process and stressing that patience is key! Using this recipe I achieved a fluffy, silky-smooth frosting that was further enhanced by the addition of fresh strawberry puree as per your suggestion. The tutorial is great. Thanks. When i tried, my icing turned out a bit too thick. i tried to add a couple of table spoons of milk to loosen it up but it stood apart like water and oil. how do i loosen smbc icing if its too thick? Hmm, I have never had that happen! I am wondering if the butter was too cold when you added it to the mixer. Do you remember if you had it at room temperature? Butter is super oily so it is really had to mix anything into the icing, even food colourings. You could also add less butter next time. I tend to stop adding butter once I see my buttercream begin thickening and coming together (not a meringue anymore.) Usually about 1/4 cup butter left. Sorry I cannot help more.